As many of my readers will know, I host private events as well as classes at my home school in Wimbledon and workshops across London. 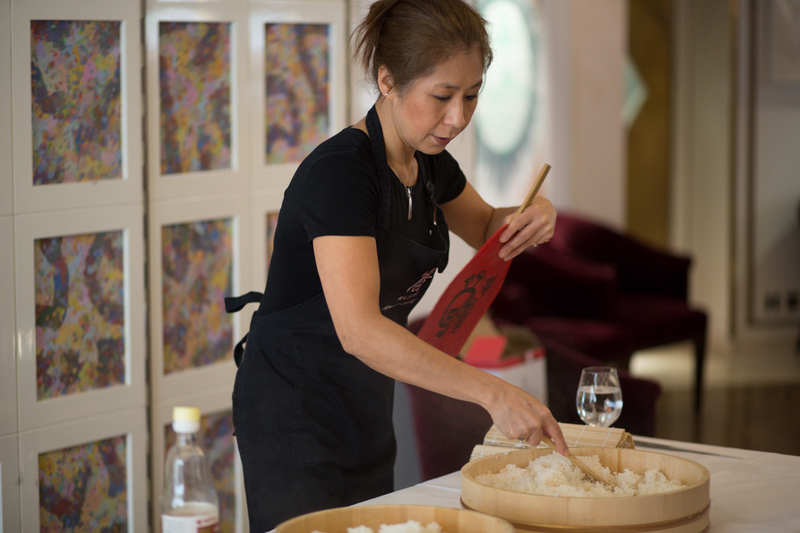 Two weekends ago, The Club at The Ivy kindly invited Hashi Cooking to teach a few of its members to create sushi rolls and match with premium sakes from Tengu Sake. 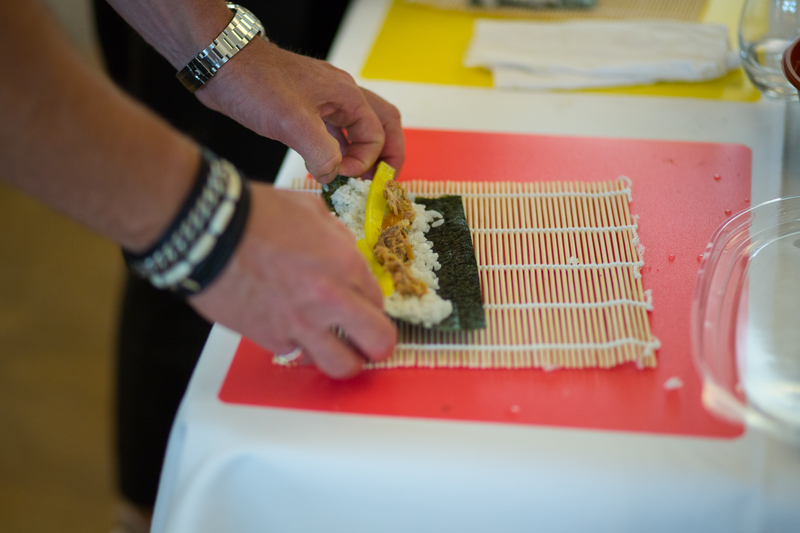 We arrived with fresh seafood, while Yutaka provided us with ingredients such as tamari soy sauce, nori, pickled ginger, rolling mats and more – everything needed to start out with sushi! Meanwhile, we used wasabi from The Wasabi Company – the UK’s only fresh wasabi providers. We set up in the Ivy’s beautiful upstairs loft lounge space (which used to be a sushi restaurant!) and 25 members created sushi rolls with salmon, mackerel, avocado, cucumber and crab paste, as well as then making inside out rolls coated in sesame and red and black fish roe. They watched as I tossed the sushi rice at the front of the class and we discussed each ingredient in detail, so that everyone should now be able to repeat the process at home, from scratch. Most of our class had never tried this before, and they did amazingly well – with only a few split rolls requiring my homemade nori puncture repair kit! After this, I demonstrated the filleting of a whole mackerel, and taught the class to roll the sushi rice into a nigiri base. 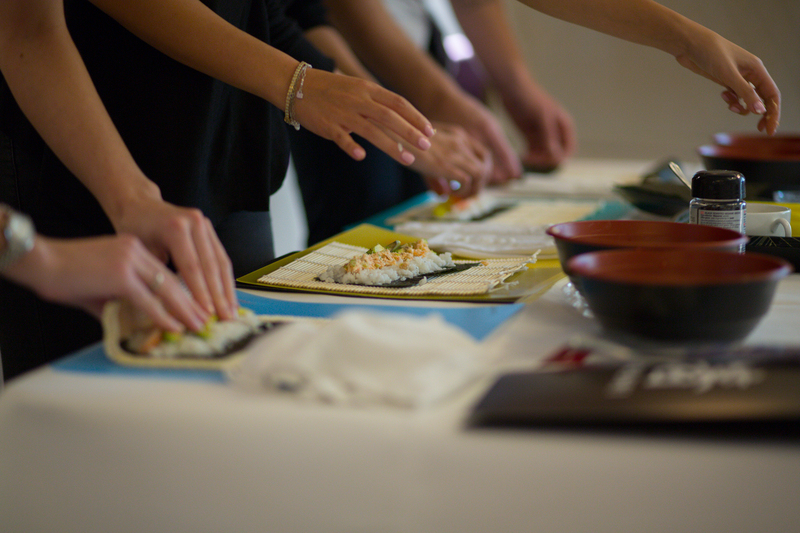 Each person was then given their own set of two pieces of sashimi and one slice of traditional Japanese omelette at their workstation to create three nigiri – which can be particularly tricky with omelette, as it must be tied to the rice base. 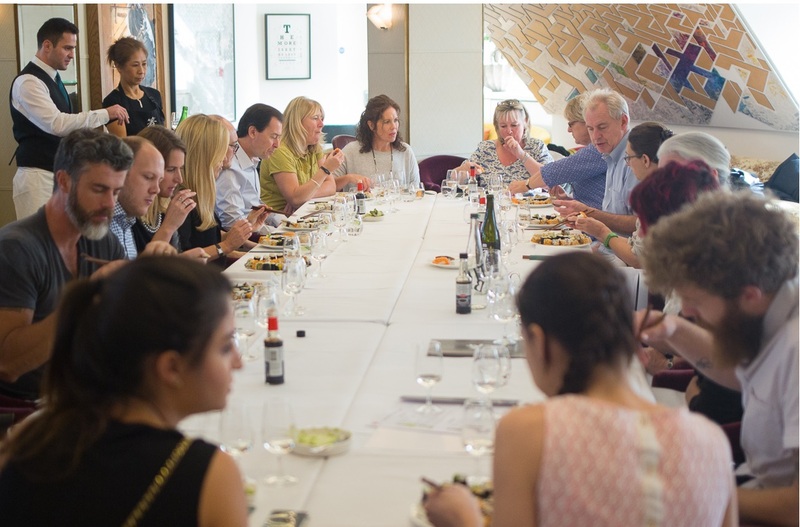 We then enjoyed a wonderful Saturday lunch together, chatting about Japanese cuisine as the class grated their own fresh wasabi – whose seriously punchy taste was a surprise to some! Then came the sake. My friend Oliver Hilton-Johnson,Tengu Sake Director and Sake Specialist, and who volunteers as Sake Educator for the British Sake Association, had provided us with two types of sake – one lighter and sweeter than the other, to match and taste alongside the sushi and sashimi pieces. It was a fantastic collaboration, a great way to spend a Saturday and I’m sure there will be more to come – so stay tuned! 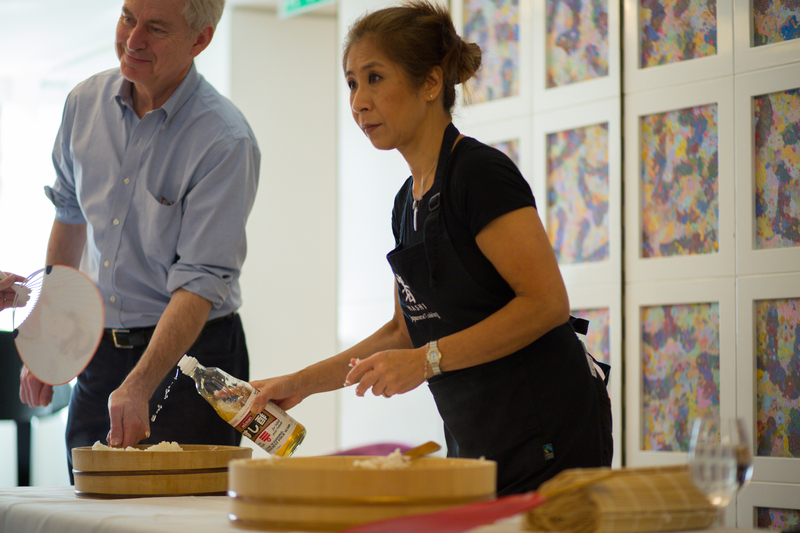 I’d like to say a huge thank you to Yutaka in particular, for continuing to provide Hashi Cooking with first class Japanese ingredients, and our students with Sushi Kits to take home and reinvent what they have learn here with us! Thank you also to The Ivy for such a wonderful day, to everyone that came and to Tengu Sake for providing us with a great accompaniment to our food.